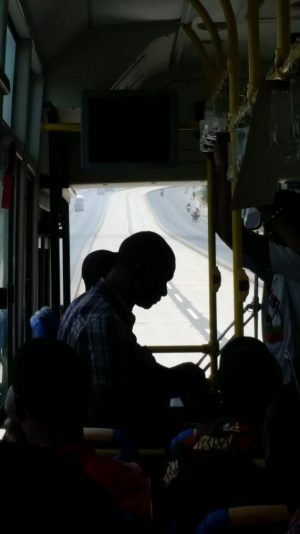 Simon Batchelor of Gamos writes on his experiences with the Dar Es Salaam rapid transit system (the DART). When SAMSET started in 2014, its first network meeting was in Dar Es Salaam alongside an ICLEI conference. 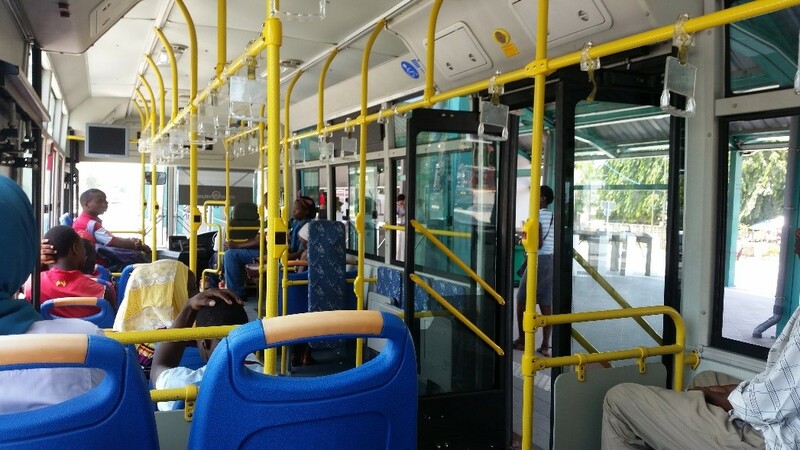 At the conference there was an offering by the mayor of Dar for attendees to have a field trip to see the Dar es Salaam bus rapid transit system called DART. At that time there was little more than road works to see, but what was impressive was the ambition to carve out whole highways that would be bus only roads. Like most city wide infrastructure projects, the system has been in the planning for more than a decade. Discussed in 2003, JICA encouraged Dar municipality to consider the system, and designs started in about 2005. 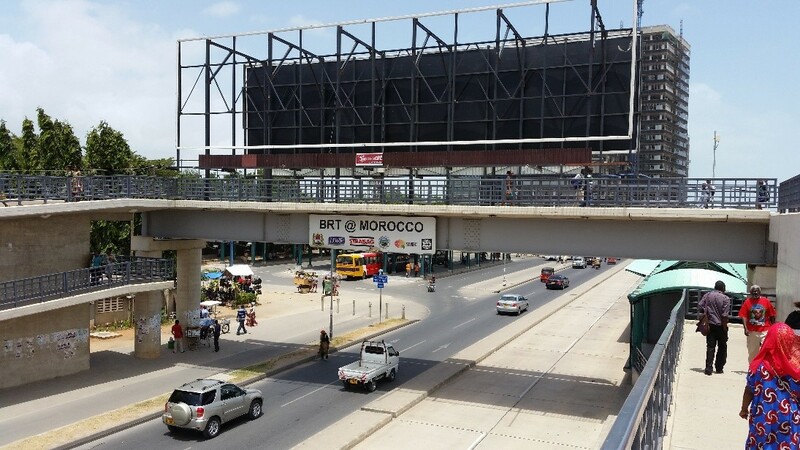 Consultations with the public and those affected by the construction, social and environment impact studies, ongoing economic feasibility studies all take time, so it wasn’t until 2012 that the road works started to appear. It will eventually be 6 phases, but phase 1 was completed in April 2015 (about 6 months after our first network meeting – so we didn’t get to ride it then). 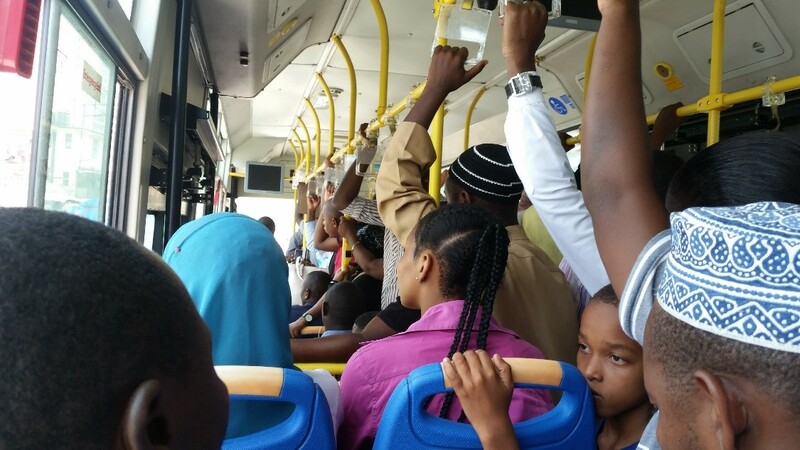 So when we were in Dar for other business last week, we took the opportunity to ride the buses. 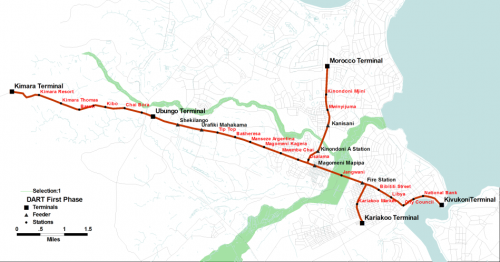 Phase 1 is said to be a single 23 km line from a station called Kimara Terminal down to the CBD. However we found ourselves at the end of a branch line, at Morroco Terminal. The system is said to have cost around $180 million so far. Since there are branches one has to choose the right bus. We got on at Morroco, and were advised to take the No 3 bus in order to get to the Zanizbar ferry terminal. It runs some 140 Chinese made buses that in themselves are unusual. Each station or terminal sits raised at about stomach height. The buses have floors and doors at that height on the right hand side. On the other side for emergencies they have one door that has steps down to road level – mainly for the driver since no one ever gets on that left hand side. The terminals have gates and one purchases either a seasonal ticket and gets a Contactless smart card or at the counter and gets a printed ticket with a bar graphic. 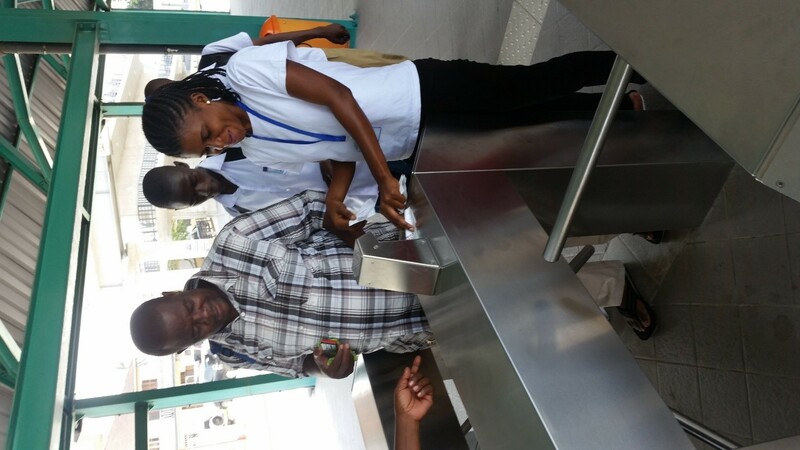 Placing the ticket under the gate scanner gets you through the gate or like many other rapid transport systems in cities one taps the card and the price of the journey is taken from it. At the moment there are staff to help people get through the gates as the whole system is still being nurtured among the general population. We entered the bus at one end of the line (Morroco), and found a clean air conditioned No 3 bus that would not have felt out of place in any modern bustling city. By mid journey the bus was full and the heat radiated by so many bodies had overwhelmed the air conditioning and people had opened the windows. This was not rush hour but was middle of the day, so I can imagine it gets pretty cramped at peak times. However while it declined in comfort by the end of the journey, it was indeed quick. We had sat in a taxi the day before for an hour in a very slow moving traffic jam; this trip took us only 20 minutes. It felt impressive to look ahead of the bus and see the completely open highway. We have talked a lot in this blog about the growing needs of municipalities, and SAMSET is focused on long term solutions. Dar es Salaam is a fast growing commercial capital, producing 70 percent of Tanzania’s gross domestic product and is the hub of economic activity with an estimated daytime population of close to six million. Analysis in 2014 showed that some private 5,200 passenger buses were operating on the city roads, and traffic congestion was already having an impact on the economic well-being of the city. A metro was not possible, and the rapid bus system seemed viable. It is said it will transport 300,000 a day in this interim phase. Having now ridden the system, I can see how it can avoid the traffic problems. I think it probably already gets overwhelmed in rush hour and be uncomfortable to ride at those times (much like most mass transit systems in most capital cities! I try to avoid the London underground at peak times!). I wish the municipality of Dar the best for its subsequent phases and will be interested to see its longer term use of lower carbon buses. 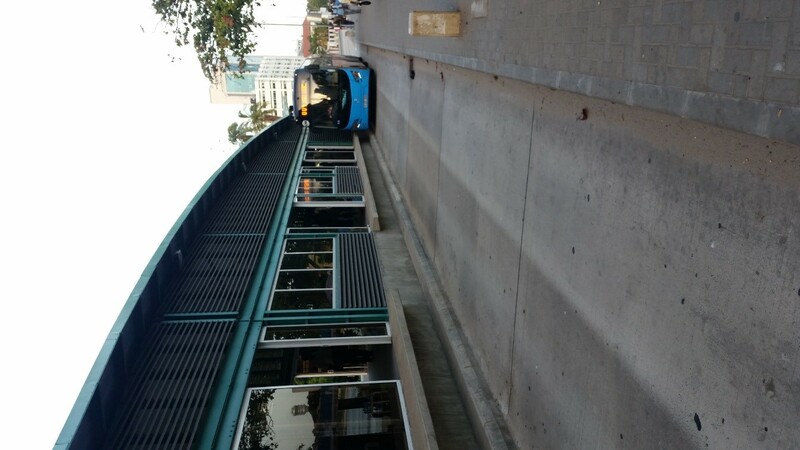 This entry was posted in Gamos and tagged BRT, Bus Rapid Transit, CBD, Cities, Dar Es Salaam, Economic Development, Gamos, Low Carbon Infrastructure, Low Carbon Transport, Municipal Transport, Municipalities, Public Transport, Tanzania, Traffic, Transport Management, Urban Energy, Urban Mobility, Urban Traffic, Urban Transport on February 14, 2017 by danielkerrucl. Xavier Lemaire from UCL and Simon Bawakyillenuo & Innocent Agbelie from the University of Ghana ISSER recently collaborated on this post for the UrbanAfrica.net website. The original post can be found at: http://www.urbanafrica.net/urban-voices/waste-to-energy-african-cities-can-transform-their-energy-landscapes/, reproduced in full below. Waste management is a critical issue for most African cities as a result of the huge generation of mountains of waste stemming from increases in urban populations over the last few decades, coupled with access to consumer goods by a fast-growing middle class. And waste generation is expected to increase rapidly in the future. City authorities are therefore faced with the challenge of managing urban waste with limited resources at their disposal. The extent of this challenge is made clear by an Africa Review Report on Waste Management in African cities, which notes that less than half of waste is being collected, the rest being dumped in the urban landscape . Accra alone generates approximately 1000 tonnes of waste per day at an annual generation rate of 3.7×104 Tons/year while the existing collection capacity can only keep up with about 55% of this amount (Fobil (2000). This means that an excess of 1.7×104 Tons/year is left to accumulate in the core areas of the city for several months . In the wake of this finding, Obour (2012) described the city of Accra as almost engulfed in filth . Unsustainable waste management has adverse consequences on the environment including the breeding of mosquito and related diseases, emission of obnoxious odours and methane, and flooding through choked drainage systems . These waste-related problems are not uncommon in most African cities and city authorities are seeking sustainable waste-management solutions. Indeed, unraveling sustainable solutions for efficient waste management is one of the top priorities of the two municipalities in Ghana that are partners to the “Supporting Sub-Saharan Africa’s Municipalities with Sustainable Energy Transitions (SAMSET)” project. The most sustainable waste management practices are waste reduction and waste recycling as shown in Figure 1 below. Source: Adapted from Rodriguez, 2011. Effective waste recycling ultimately leads to waste reduction. It is possible to recycle completely a waste product only when the production and marketing processes themselves have integrated the target of 100% recycling as the ultimate goal of the design of the value chain, making it possible to generate money from the recycling activity itself (and allowing the recycling activity not just being an end of chain cost). In most African cities, little is done and far little is happening currently in the areas of waste reduction and waste recycling as waste management practices. 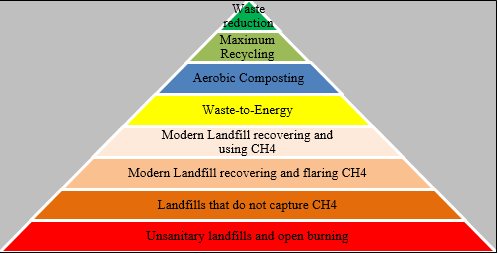 Sadly, waste management practices in Africa can be placed in the first and second rungs from the bottom of the hierarchy of sustainable waste management (Figure 1). It has to be noted that, another waste management practice that is common in African cities is composting, that is, turning the by-products of organic waste into manure for agricultural activities. Most companies that have taken such initiatives have quit in many countries due to low patronage of such compost products. It is, however, flourishing in other countries such as Uganda and parts of South Africa, like Cape Town. Using waste to create energy is a viable option for most African cities. Waste can be incinerated to produce heat or electricity; and methane can be collected from landfills and be used to, again, generate heat or electricity. There is high level of organic content of waste generated in most African cities. In Ghana, for example, about 66% of the total waste generated is organic, as shown in Figure 2 below. Source: Zoomlion Ghana Limited (2013). Any organic waste from urban and rural areas as well as industries is a resource due to its ability to degrade and release methane, which can be used for energy generation. The problems caused by solid and liquid wastes can be significantly mitigated through the adoption of environmentally-friendly waste-to-energy technologies that will allow treatment and processing of wastes before their disposal. Waste-to-energy is a win-win endeavour. As a sustainable waste management system it produces energy that can be sold for economic gains for the producer. It also provides green jobs. While it is thought that such projects are highly technical and often require imported skilled labour and technology from developed countries, local people, especially “waste scavengers,” can be employed and use their skills. It seems unlikely that municipalities themselves or international corporations can deal with waste. Involving local entrepreneurs in the process is fundamental  and can be extended to entrepreneurs from informal settlements . Most cities in Africa already use landfill waste disposal systems. City-owned vehicles, such as trucks, can be used for waste-to-energy projects to cut costs. The problem in most African cities, however, is waste sorting. Waste is often not sorted at the collection points hence all kinds of waste end up at the depositing site. Tying economic benefits to sorting of waste at the households level and effective education of the general public on the need for proper waste sorting can help the course of waste-to-energy in most African cities. All landfills generate methane, so there are many opportunities to reduce methane emissions by flaring or collecting methane for energy generation. As mentioned previously, there are two main technological options to transform waste into energy, both of which can be used to create heat or electricity: incineration or collection of methane. Often proposed by Western companies, the incineration technology can be quite costly to build, relies on imported technologies, and requires the collection of huge amount of waste from vast catchment areas. Huge catchments areas imply that there will be high costs related to logistics, while fleets of trucks could contribute to road congestion. Production of energy from landfill requires certain technical skills, which can only be acquired through training and experience. Methane is a potent heat-trapping gas (more than 20 times stronger than carbon dioxide) and has a short atmospheric life (10 to 14 years) . Therefore, reducing methane emissions from municipal solid waste landfills through a Landfill Gas project is one of the sustainable means to lessen the human impact on global climate change. In addition, a Landfill Gas project, during its operational lifetime, will capture an estimated 60 to 90 percent of the methane created by a landfill, depending on system design and effectiveness. The methane captured is converted to water and carbon dioxide when the gas is burned to produce electricity or heat. Unfortunately, there is no one best technological fixed solution. Each municipality has to find a specific mix of options, combining the appropriate technologies with existing social agencies to be able to tackle progressively – after a series of trials, successes and errors – this problem. Indeed, there have been many trials and failed waste to energy projects in Africa. That notwithstanding, many opinion groups, private organisations, international organisations and governments in most African countries are still enthusiastic about sustainable waste management practices. It is therefore imperative for city authorities to make strategic choices about the types of socio-technical solutions that can be implemented realistically, taking into account their financial and social long-term sustainability. This is to avoid repeats of failure of waste-to-energy projects funded by international organisations in Africa. Suffice to mention that waste management is a complex issue that must involve contributions from a variety of stakeholders from local communities to policy-makers including industries and farmers for success to prevail. Key among the ways African cities can transform their energy landscape through waste-to-energy is political and institutional commitment. It is encouraging to note that in recent times a lot of governments in Africa are gradually embracing the Green Growth development pathway, with some having already mainstreamed Green Economy actions in their national development plans. These steps give signal great prospects for waste-to-energy development in Africa because Green Growth developmental actions entail foster economic, social and environmental development. Thus, in the not too distant future, it is envisaged that a wave of different waste-to-energy projects could spring up across African cities when emphasis is not only placed on the cost component of waste-to-energy, but both the environment and social benefits as well. Fobil, J. N. (2002). Proceedings of International Symposium on Environmental Pollution Control and Waste Management 7-10 January 2002, Tunis (EPCOWM’2002), p.193-205. Obour, S.K. (2012). “Accra Sinks under Filth”. The Mirror, Saturday, September 15, 2012, pp.24. This entry was posted in ISSER - University of Ghana, UCL - Energy Institute and tagged Africa, African Cities, African Municipalities, Cities, Composting, Ghana, Incineration, Landfill, Landfill Gas, MSW Energy, Municipal Waste, Municipal Waste Management, Recycling, SAMSET, South Africa, Sustainable Waste Management, Waste Disposal, Waste Management, Waste Reduction, Waste-to-Energy, Waste-to-Heat on August 7, 2015 by danielkerrucl. Why Should I Invest, It Doesn’t Produce Extra Income? Simon Batchelor from Gamos offers his thoughts on energy investment and the concept of “temporariness”. It reminded me of a report I read on the Millennium Challenge Corporation (MCC), created by the International Housing Coalition back in 2007. MCC at that time was an initiative of US foreign Assistance, and was championing a new approach to development assistance. They were (I have no idea whether they still are – perhaps someone could help me in the comments section), very focused on Economic Rate of Returns (ERRs) i.e. the increases in income or value added as a result of a project. The report focused on housing projects and asked the question whether the benefit of improved housing in urban situations could truly be measured by increases in income? In the same way that the extract from the book suggests that people may not invest in their housing and ‘situation’ because it doesn’t necessarily generate more income for them (preferring presumably to send home remittances that support schooling and agricultural production); so too in this report, the donors and development assistance might also question investment because it doesn’t give an immediate ‘extra income’ return. They note that “The ‘benefits’ of well-designed urban and shelter reforms can have repercussions not only on the incomes of the individuals served, but also on the larger economy. There are large positive externalities to improved shelter in terms of health and life expectancy.” However, the report argued – these benefits may not be captured in traditionally calculated ERRs. They say “Urban shelter and infrastructure investments may indeed have direct economic benefits such as an increase in the rental value of housing, significant improvements in health, or increases in the productive capacity of the household……investments in urban areas can make non-trivial contributions to economic growth from a macro-economic perspective by adding to productive capacity of the city as a whole. Such benefits are also virtually impossible to enter in an ERR calculation.” (My emphasis). Mark seems to have highlighted an important point about short term thinking or ‘temporariness’ – something we need to keep in mind as we explore energy investments in urban areas as a part of SAMSET. This entry was posted in Gamos and tagged Africa, Cities, Confidence, Developing Countries, Economic Rates of Return, Energy, Energy Investment, ERR, Gamos, Indirect Benefits, Indirect Economic Benefits, Infrastructure, Investment, Investment Climate, SAMSET, Short-Term Thinking, Sub-Saharan Africa, Temporariness on June 27, 2014 by danielkerrucl. Xavier Lemaire from UCL summarises the second SAMSET Network Meeting. The second SAMSET network meeting took place in Ghana on the 14-16 May 2014. During this meeting, representatives from each municipality partner of the project have described the situation of their town and their expectations for this research-action project. The six African municipalities – Cape Town and Polokwane (South Africa), Kasese and Jinja (Uganda), Ga East and Awutu Senya East (Ghana) – tend to face considerable difficulties to exert control on land use due to important internal and international migration combined with an important internal population growth rate. In all countries, power supply does not cope with the demand and power cuts can be frequent which raises the question of the effectiveness of demand-side management policies; some municipalities also face constraints in terms of supply of water which will become even more acute in the near future; waste management can be an important unresolved issue; traffic congestion is also widespread due to the lack of public transport and cannot be solved by just implementing more infrastructure. It was also emphasized during this meeting how data used by municipalities were inaccurate and misleading because of the importance of the informal sector, and that municipalities were always behind the fast changing situation on the ground. With yearly budgets planned according to the situation at a given time, but implemented with delays, flexibility in planning procedures was needed to allow the taking into account of changes that have occurred in the recent past, and not just to factor the growth rate of the municipality. It has been underlined that data to be collected for the research did not need to be complete at the beginning of the project, because data collection was an on-going process and that data will get better once they have been started to be collected. Each of the municipalities have taken the opportunity of this meeting to detail their specific issues and how they try to deal with them, particularly detailing and starting to compare their approach in terms of planning and electrification. After these first exchanges, further network meetings will help to design and implement effective strategies. This entry was posted in UCL - Energy Institute and tagged Africa, Built Environment, Cities, Data, Developing Countries, Energy, Infrastructure, Municipalities, Network Meeting, News, SAMSET, Sub-Saharan Africa, Sustainable Energy, UCL, Urban Planning on June 20, 2014 by danielkerrucl. Simon Bawakyillenuo and Innocent Komla Agbelie from the University of Ghana on the recent IPCC “Key Roles of Cities in Climate Resilience” report. Indeed, evidence abounds today, manifesting that cities such as Chicago in the U.S.A, Leicester in the UK, and Ekurhuleni in South Africa have made huge investments in retrofit programmes for public buildings as a way of reducing energy use, since energy consumption is a key driver of Greenhouse Gas (GHG) emissions. Other innovations such as the Bus Rapid Transit system in Mexico City, biogas-powered buses in Lille, France and the solar-powered municipal bus fleet in Adelaide, Australia are all green strategies being introduced into city structures to enhance the mitigation of GHG emission as well as improve the resilience of these urban areas. The adoption of these clean and efficient technologies by the cities, which serve the dual purposes of climate change mitigation and adaption strategies are in sync with Dr. Debra Roberts’ views. Since cities are the highest contributors of GHG emissions, strong leadership and institutional set-ups are required to initiate innovative approaches that will embrace the dual purposes of adaptation to climate change and mitigation of GHG emissions. While existing mega cities will need to reorient their strategies and approaches, the lessons and opportunities, perhaps for local authorities of smaller cities and municipalities are that, they can leapfrog the fundamental mistakes of mega cities by pursuing development agenda that will involve meticulous planning, adoption of policies that will be clean and efficient technology driven as well as improving resilience to climate change. It goes without saying that today’s mega cities are more complicated, structurally and institutionally compared to smaller cities; which therefore make it difficult to apply the same technologies, processes and scientific approaches to tackling what may seem homogeneous problems facing the two types of cities. Thus, a more proactive approach to building climate conscious cities and municipalities is the need for them to adopt adaptation and mitigation measures that are within their means, resource-wise. While mega cities need to integrate more climate friendly technologies into their existing structures in order to upgrade them to climate compatible levels, smaller cities and municipalities, having not developed complicated structures can just begin developing their structures with climate compatible elements, being mainstreamed in them. The SAMSET project’s approach of supporting municipalities from three countries with varied setups in terms of size, structure and institutional arrangements, with sustainable energy transition paths, is laudable in building climate resilience in the selected municipalities and, therefore speaks to the views of Dr. Debra Roberts. The selected smaller municipalities on the SAMSET project, which are considered alongside other larger cities, are obviously potential mega cities in the future. Thus, these smaller municipalities are well placed in shaping their development trajectories in the right directions and protecting their fragile infrastructure by drawing lessons from the bigger municipalities that have faced numerous climate change issues. In effect, the SAMSET project has an enviable opportunity of impacting positively on climate change resilient approaches of all partner municipalities especially, the smaller cities through building the capacity of their personnel to come up with informed decisions, strategies and approaches to develop clean and efficient technologies. This entry was posted in ISSER - University of Ghana and tagged Adaptation, Cities, Climate Change, Developing Countries, Future Proofing Cities, Ghana, Infrastructure, IPCC, Mitigation, Municipalities, SAMSET, Urban Development, Urban Energy Transitions, Urban Governance, Urban Planning on May 9, 2014 by danielkerrucl. Prof. Simon Marvin from Durham University reports on the Durham SAMSET team’s recent work in Uganda. We met the Municipal Town Clerks – the equivalent of a Chief executive in UK – from our two case study cities. These municipalities have few formal responsibilities for energy issues with policy making priorities and capacity being exercised at a national level – through the energy ministry and the actions of an unbundled energy system of generation, transmission and distribution. Consequently, there was very limited capacity in the local authority to focus on energy issues – with only one member of staff employed to deal with all environmental issues – including working on forests, wastewater etc. While municipalities were concerned about a range of energy issues in their cities including high costs, disruption, health and air quality plus access of households to formal energy system – there are few formal mechanisms for them to interact with, or shape, the energy system. Mapping the urban energyscape revealed a wide range of local energy initiatives around lighting, fuel-efficient stoves and a range of decentralised technologies. But these responses were strongly dependent on the actions of external intermediaries – NGOs and private companies – who worked with local households and community-based organisations to develop local energy initiatives. What was striking about these was the ways in which these responses tended to connect to international financial mechanisms, agencies and particular national contexts involving private companies, universities and NGOs to a particular local context – household, sewage works etc. There was strong sense that these initiatives largely by-passed the municipal and national contexts within which they were inserted according to external priorities – a form of transnational governance of local energy. While the energyscape was incredibly fragmented there was one example of an energy strategy at a municipal scale in Kasese that WWF has chosen as the “ Champion District”. 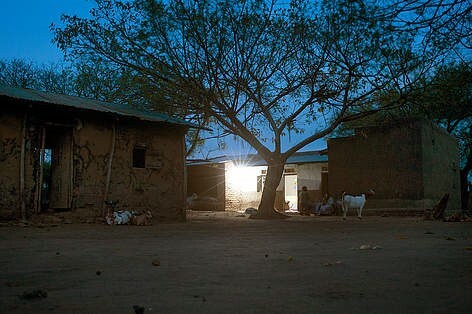 The imitative involves working with a cross-sectoral partnership designed to accelerate energy access for off grid communities through cooking and lighting. A number of different pathways are being experimented with including working with not-for profit NGOs and commercial models. A private solar provider had report significant up lift in monthly solar installations from 2 up to 400 a month after the scheme provided enhanced access to the market through CBOs. In contrast an efficient stove NGO reported that the scheme had been less successful in providing access to households. This entry was posted in University of Durham and tagged Africa, Built Environment, Capacity Building, Cities, Climate Change, Developing Countries, District Champions, Durham University, Energy, Local Government, Municipalities, Netmapping, Planning, Renewable energy, Uganda, Urban, Urban Energy Transitions, Urbanization on April 22, 2014 by danielkerrucl. Mark Borchers from SEA comments on the C40 City Mayors Summit, held in Johannesburg in February. There are plenty of ideas about low carbon urban development. These tend to circulate in policy documents, reviews and conference presentations. The challenge is to take these ideas and let them take root and gain life in the messy engine rooms of cities where the aircon may have been broken for many months, the average qualification basic, a receptionist painting their nails, the engineer gone and the finance officer unwilling to do anything new. It may take 3 months just to appoint a staff member; up to six months to issue a tender and appoint a contractor. I have heard of instances where money for retrofit of public lighting ended up paying staff salaries; and funds for solar water heating installation could not be spent as there was no engineer to sign off that the houses could structurally bear the load. Scratch the surface, however, and there is also a wealth of experience, irreplaceable on-ground technical knowledge and institutional memory. I have also experienced, across almost every municipality in South Africa at least, a massive commitment to meet the environmental challenges facing us. In February city leaders met in Johannesburg for the C40 City Mayors Summit. Political analysts Richard Calland and Jerome van Rooij (‘African cities need to work together’) posed the question: will African cities be able to ‘catch the wave’ of cities being “where it’s at” with regard to sustainable development and green-growth, given their fiscal and political/legal limitations? Not without a major gearing up, they conclude. SAMSET aims to address this, following a model that has been enormously successful in South Africa to date: taking an sustainable energy/urban development idea, working on it hand in hand with city staff; when it hits a snarl-up, deepening the investigation, exploring a number of possibilities and moving closer to a solution – a programme of real intervention. As the work happens, the finance begins to flow in, the capacity to do the work expands, new offices develop and the institution reconfigures itself. Incremental, but potentially powerful. This entry was posted in Sustainable Energy Africa and tagged Africa, Built Environment, Capacity Building, Cities, Climate Change, Developing Countries, Energy, Infrastructure, Local Government, Low Carbon Development, Peri-Urban, Planning, SAMSET, South Africa, Sub-Saharan Africa, Urban, Urban Energy Transitions, Urban Governance, Urban Management, Urban Planning on March 18, 2014 by danielkerrucl. Homepage of the SAMSET project, including outputs, meetings, events and current research.